The Hengsong cup has the very common bell-shape in silicone. It is made of medical grade silicone. It has a large lip at the top followed by some gradual ridges. At the bottom of the cup there are more pronounced ridges which extend onto the stem. The cup is instantly recognizeable because the stem has a charm at the very bottom. The smaller size has a heart shape and the larger size has a half-moon shape. This cup does not have any features that would facilitate insertion. This cup has ridges on the stem which should aid in removal. The cup comes in two sizes. The small size is for women who are under 25 and have not given birth. The larger size is for women who are older than 25 or who have given birth. Although this cup has ridges, it should not be any harder or easier to clean than the average cup. We cannot find evidence that this cup is registered with the FDA or has obtained any specific certifications. 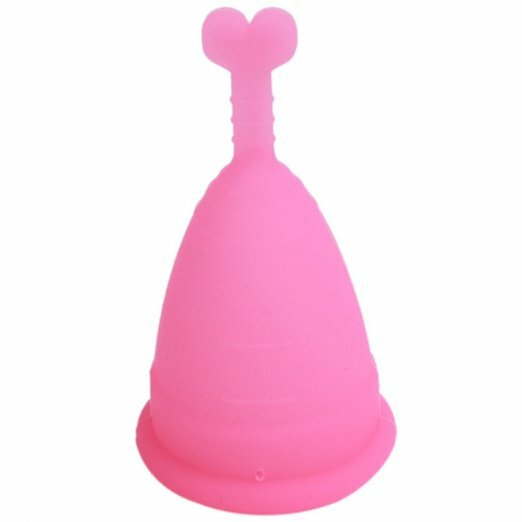 Menstrual cups in general are certified by default to be sold in many countries.